The SUP253 features on of Seiko’s signature green movements. With no need for a battery, the SUP253 absorbed energy from the light that hits it, with a renewable energy source the SUP253 will keep going for as long as possible. With a lightweight and sturdy stainless steel design the SUP253 features a gorgeous mother of pearl dial that is complimented by the crystal engraved bezels on the left and right of the case. 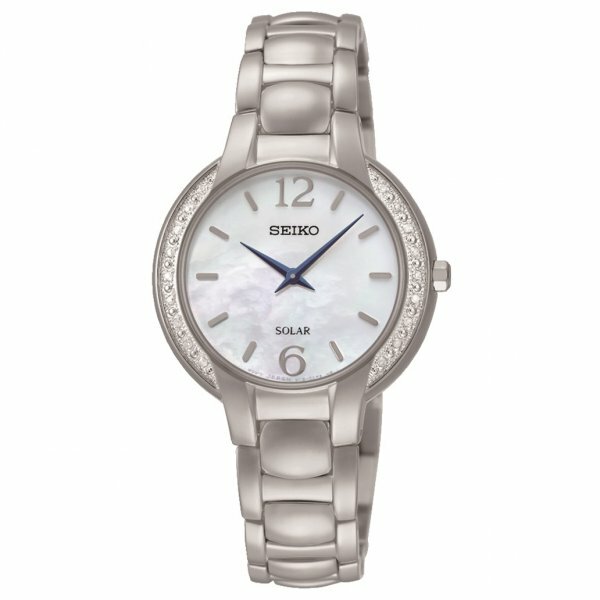 The SUP253 Seiko Solar comes with a 2 Year Manufacturer Warranty.